How Is The Penguin 3.0 Update Effecting Websites? 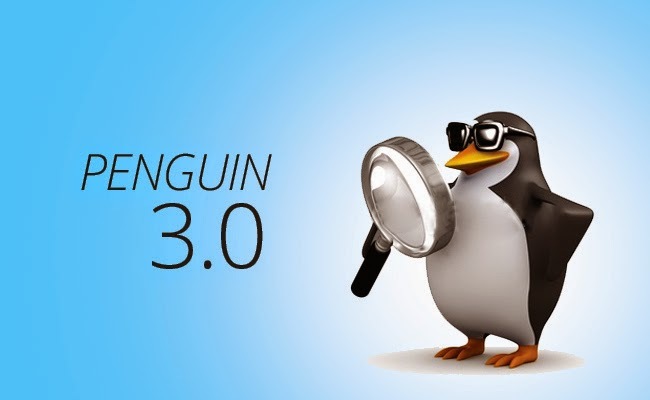 Google is in the process of rolling out the next iteration of its Penguin filter, which is being dubbed by SEOs as Penguin 3.0, since it a major update and over an year in the coming. The original filter was introduced in 2012 and it was designed to target sites deemed to be spammy, especially those violating Google's guidelines regarding link-building. Google has improved this filter and the Penguin 3.0 is said to be much more efficient. Let's take a look at just how it is effecting websites worldwide. The Penguin algorithm primarily looks at a site’s backlink profile and may demote a site that appears to have a poor backlink profile. The update, as confirmed by Google, is a worldwide update and impacts all versions of Google. Unlike some of Google’s other algorithm updates, such as the Panda algorithm, the Penguin update typically launches globally. So sites in any language, any region, are all open to the potential impact of this algorithm. Why? Since Penguin is mostly about link profiles, language doesn’t really need to be looked at by the algorithm. Panda looks more at content and language, thus those algorithms roll out different by region or language. Penguin doesn’t need to worry about language, for the most part. The roll out began on last Friday, and is still going on right now. So far, it has impacted about 1% of all English queries, and should demote sites with bad link profiles and help sites that were previously hit that cleaned up their link profiles. In the past, the first version of Penguin impacted about 3.1% of queries and was considered as one of the biggest updates. 1.1 effected 0.1% and 1.2 effected 0.3% of the queries. Then Penguin 2.0 had a 2.3% impact and 2.1 about 1%. Penguin 3.0, which some may argue is 2.2 and not 3.0, impacted less than 1% of queries. Now, it may be higher in other languages, but Google’s measurement was English queries. According to Google, this update is a “refresh,” and so far, there is no mention of any new signals or additions to the algorithm in any way. A refresh in Google’s terminology around algorithms means they just re-ran the algorithm to release sites that fixed their issues and demote sites that had issues they didn’t pick up on. They did not add any new signals to the algorithm to find Penguin related sites, it was just a refresh. Just a refresh even after waiting over a year? Indeed and this is pretty shocking to most of those in the SEO industry. Many expected a refresh could have happened way earlier and that Google was laying the ground work for a new Penguin algorithm. Like any algorithm refresh, some sites that were previously hit would see a ranking increase because they are no longer negatively impacted by the algorithm. While other sites may see a ranking drop in the search results because they were just picked up as sites that should be impacted by the Penguin algorithm. Sir Plz tell me how to recover site, because my site hit by Google update 3.0. so Kindly tell me this update solution and guide me, i am much worried about my blog. This is my blog Funfashion1.com. Plz check my blog and tell me..?